A wonderful and magical production! 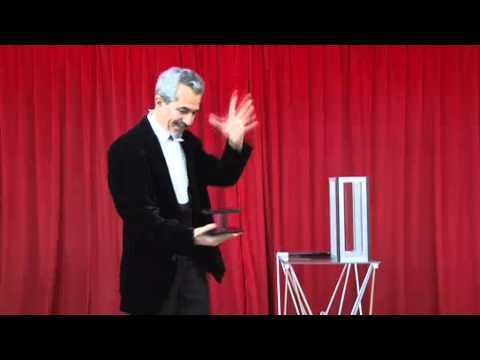 The magician plainly shows a rectangular clear glass tube to be empty. He places his arm inside several times to prove its emptiness. He then places it on an elegant flat base. He inserts his magic wand into the tube. Suddenly, a beautiful feather flower appears standing in the tube. To better display the flower, the clear tube is removed. As it is lifted, the single bloom transforms into a huge bouquet of a dozen flowers! Looks incredible!! Only the finest quality materials are used in the construction of this miracle.